Lawyers representing a woman claiming to have been raped by Cristiano Ronaldo are preparing to go into more detail about the allegations. Kathryn Mayorga has filed a civil case against the five-time World Footballer of the Year after claiming to have been sexually assaulted by him in Las Vegas in 2009. Her legal counsel has called a media conference on Wednesday evening during which they intend to make public their claims against the Juventus forward and his legal team. Ronaldo published a video on Instagram over the weekend describing the claims, originally published in German newspaper Der Spiegel, as "fake news". His attorney Christian Schertz insists the allegation is "manifestly illegal" and is "one of the most serious violations in personal rights in years." Cristiano Ronaldo takes to Instagram to deny reports in Der Spiegel magazine that he raped a woman in 2009. Las Vegas Police has confirmed it has re-opened an investigation into an allegation of sexual assault from June 13, 2009, but no names have been released. "At the time the report was taken, the victim did not provide detectives with the location of the incident or suspect description. A medical exam was conducted," police confirmed in a statement released last night. Ms Mayorga claims to have originally signed a non-disclosure agreement with Ronaldo's lawyers worth $375,000 (£289,000) but is now seeking damages against Ronaldo and his legal team. The file accuses Ronaldo and those working for him of battery, infliction of emotional distress, coercion and fraud, abuse of a vulnerable person, racketeering and civil conspiracy, defamation, abuse of process, breach of contract, and negligence for allowing details of the confidential settlement to leak out. 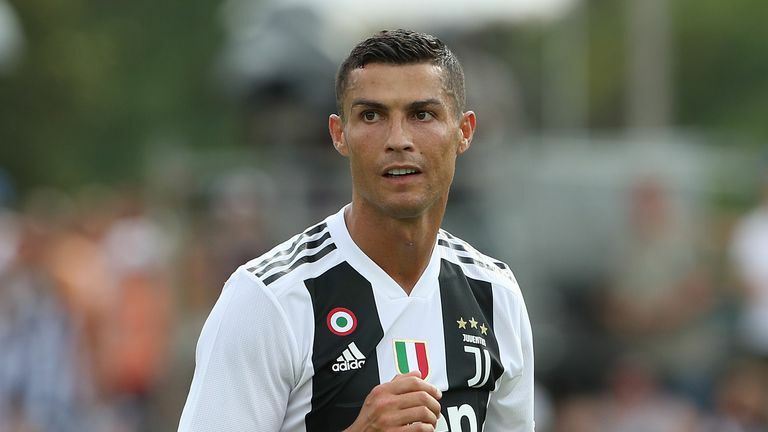 Ronaldo was excused from Juventus training on Monday ahead of Tuesday's Champions League group game against Young Boys, as he is suspended for the tie.